Join the RBI--a group of teen agents with special gifts--on a series of action-packed adventures as they travel the world! In an eerie underwater cavern, human hands reach out from the seabed searching the dark water. 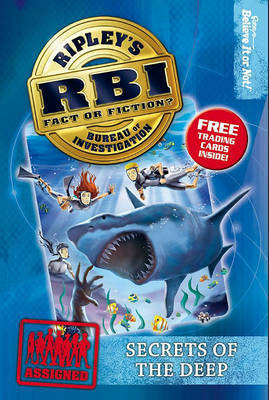 The RBI are sent on a watery quest to find out what lies beneath. How do mysterious happenings on the sea at night, an angry school of sharks, and zombie ghost stories link with this creepy new mission? The RBI are on a mission to search out the truth!